Tours operate every Wednesday and Sunday, departing Melbourne CBD at 9am. Pick-up available from CBD accomodation on request. 1 Day Surf Adventure departing Melbourne and cruising along The Great Ocean Road. Package includes: Surf lesson and all Equipment, Transport to and from Melbourne and a Guided Tour along the way. 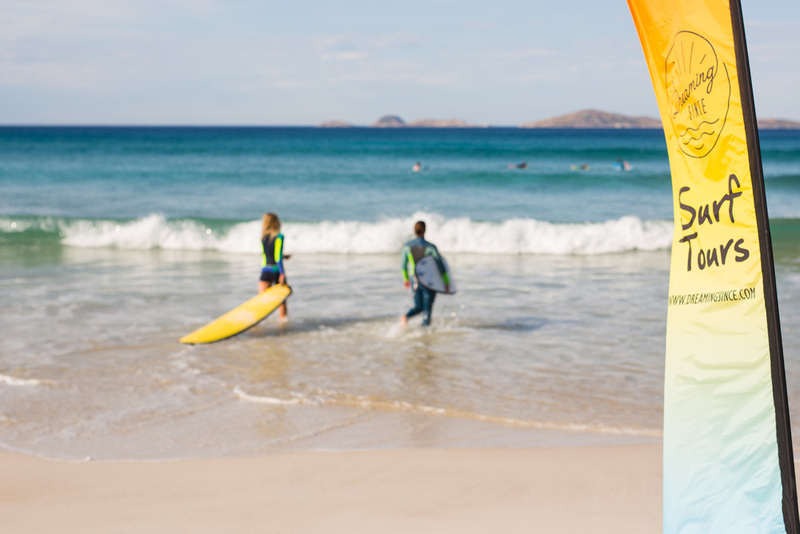 All fully qualified surf instructors from Australia's leading surf school GO RIDE A WAVE. Melbourne pick-up at 9am, Melbourne drop off at 6pm. Surf at iconic beaches and in National Parks. The ultimate sightseeing experience for 18-35 year old travellers. Flexible tour enabling clients to surf the best waves, when they are at their best, whilst still ensuring clients experience Australia’s beach culture, landmarks, wildlife, and a guided tour at every location. Best price on the coast! Founded in 1987 on the Surf Coast, our surf lesson provider Go Ride A Wave knows the Victorian waters better than anyone else, providing an unforgettable surfing experience for over 50,000 clients every year. Visit gorideawave.com to learn more.